Experience living in your own little paradise situated quietly in this highly desired neighborhood. 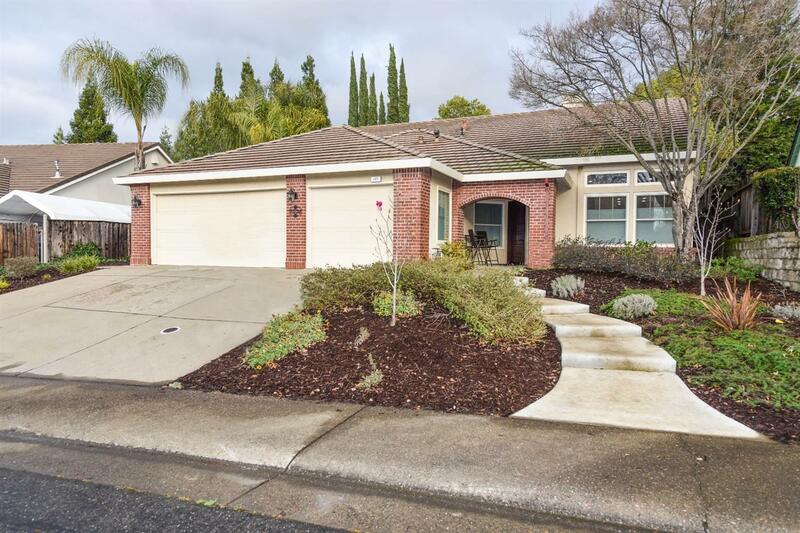 This absolutely beautiful home features a highly sought out single story flooplan that has been tastefully updated with newly refaced kitchen, laundry room, and hallway cabinets which includes all European self closing hinges, recently installed granite kitchen countertops, and freshly painted interior throughout and in garage. Also enjoy the beauty of the hand scraped bamboo flooring throughout and newly installed tile in hall bath and laundry room. Also, entertain family and friends and feel like you are on a permanent vacation in your own private backyard oasis. On those hot summer days nothing will be desired the most then to cool off in the pool that the whole guest list will absolutely enjoy.